Learn to not want anything – and you will just live happily ever after! There’s a lot of festivity in the air. Many parts of India are celebrating a New Year – Tamilians are celebrating Puthu Varsha Pirappu, Malayalis are celebrating Vishu, Assamese are celebrating Rongali Bihu – and in Punjab they are celebrating the harvest festival, Baisakhi. My favorite is Vishu. For it reminds us, first thing in the morning, how abundant our lives are. The fruits, vegetables, grains, the lamps, the mirror in which you see your own reflection and that of the assortment of nature’s bounty – all of these are a way to celebrate abundance and be grateful for what we have. 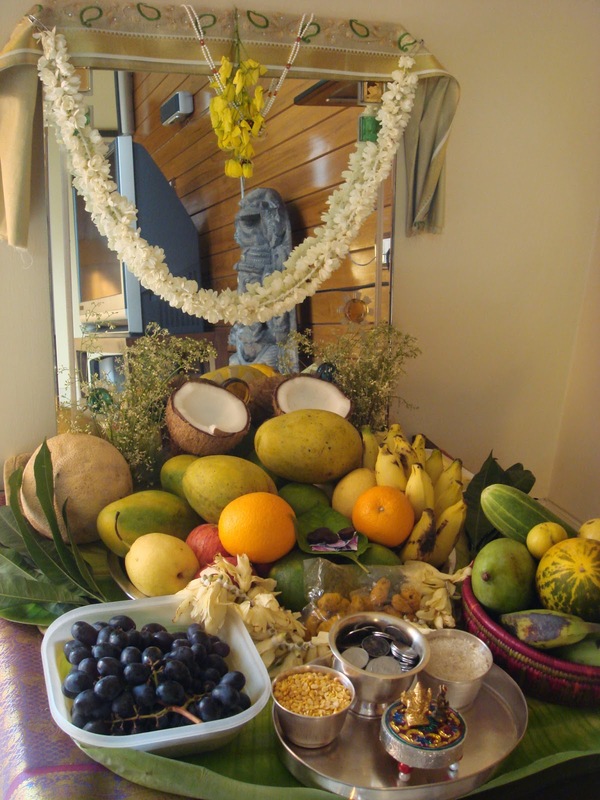 Vishu meant a lot to me as a child because I would get Vishu Kani Nettam (a small amount of money that elders give people younger than them) from a lot of people and each year I would make a princely fortune on this day. Over the years Vishu continues to inspire me. It invokes in me a great sense of gratitude for all the abundance in my Life – despite anything material remaining with us in the past few years – and, importantly, it has taught me the power of “not wanting”. Not having something and not wanting something are not the same. Not having something is reality. Wanting something that you don’t have is desire. And desire always fights reality. When you fight or resist or argue with reality you suffer. If you examine your feelings carefully you will realize that all your suffering is over wanting what you don’t have. If you don’t have a job that you like, that’s reality. There’s no suffering there. Suffering sets in when you start pining for a better job – something you don’t have right now! Similarly, you don’t have a car. That’s reality. Again the lack of a car does not cause any suffering. You suffer when you start wishing that you have a car – which is when you fight your “no-car reality”! The key to get rid of suffering is to drop all desire, to stop the wanting. Your Life – just as mine – is filled with abundance. We, however, miss Life’s beauty and magic, and all the abundance there is, because we are lost running our rat races, and we are busy wanting all the time! When we realize, like that young bartender, that there is so much we have that we don’t value, that we don’t recognize, that we don’t celebrate, then we will drop all the wanting. When there is no want, there just is – only happiness!